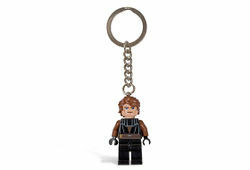 The set Anakin Skywalker Key Chain was released in July 2008 as part of the The Clone Wars line. Included is an Anakin Skywalker minifigure, in his Clone Wars form. Facts about "852350 Anakin Skywalker Key Chain"